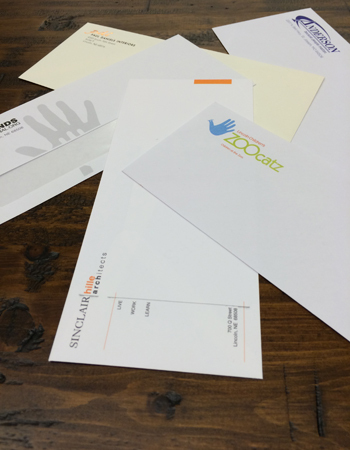 Printed envelopes in color or black and white. #10 regular or window envelope. 1 sided front.